When Alaska Airlines acquired Virgin America, the federal government required dropping several codeshares with American. Alaska is growing and they aren’t allowed to partner as closely with American as planned. Alaska has already broken up with long-time frenemy Delta which had attacked the Seattle-based airline in its home market by building up a competitor hub. Now their relationship with American is more or less falling apart at the end of the year, with some components surviving into the new year. American will only award miles on Alaska Airlines flights booked as American Airlines codeshares. American will only award elite status credit (qualifying miles, segments, and dollars) on Alaska Airlines flights booked as American Airlines codeshares. American Airlines elite frequent flyers will no longer receive travel benefits — such as priority check-in, priority boarding, access to preferred seats, and free checked bags — on Alaska Airlines. The partnership will continue to award miles and status credit on American Airlines codeshares. And American AAdvantage will still allow mileage redemption on Alaska Airlines flights. American Airlines Admirals Club members will also still have access to Alaska Airlines lounges. Alaska Airlines Mileage Plan members see similar changes except that they will still earn miles on all American Airlines international flights codeshare or not. 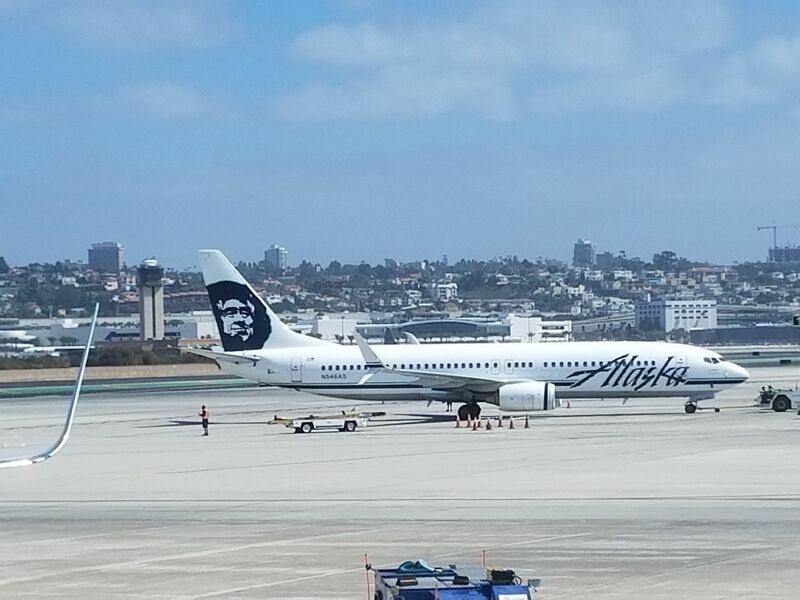 Alaska Airlines will only award miles and status credits on American domestic flights booked as Alaska codeshares, however members earn on all American international flights. Alaska Airlines elites lose elite benefits on American Airlines. Alaska Mileage Plan redemption prices on American are changing as well. @mogon – I think the differentiator is that the miles are not status earning on non-codeshare american flights, you only earn redeemable miles. @mogon AS members earn miles on AA domestic flights booked as AS codeshares, and on all AA international flights. What sad news. I really enjoy Alaska and it has been great that benefits can be extended to American as well. I guess all good things come to an end. The award devaluation is pretty significant especially for premium cabin travel. That is probably the worst thing. Ouch. This will make the road to MVPG75 a bit tougher next year. I wonder how much of this is in response to folks crediting their AA flights to AS – and getting mileage based returns, albeit likely reduced by fare code. Ouch! This will hurt those of us who find certain Alaska flights more convenient and economical (e.g. SMF-SJD, SJC-KOA, etc.) than AA flights. As well, those AA elites who left AA for AS (and got status matches) due to AA EQD status requirements will be severely inconvenienced. Wow. Asia 2 in F on AA metal @110k miles? For domestic travel: Starting Jan. 1, 2018, you’ll no longer earn Mileage Plan miles on domestic American Airlines flights that are not marketed by Alaska, which includes all flights numbers beginning with airline code “AA”. In other words, you will no longer earn Alaska Mileage Plan miles for any domestic flights booked directly with American Airlines. Another devaluation. Perhaps Alaska should seek funding and expand so more customers can fly exclusively on AS. Seems to be that unless you live in Seattle this is effectively gutting the value of Alaska. So many places you can’t get to easily (connecting in Seattle is never a good option). Yet another sad development in the race to the bottom. How long until they can destroy loyalty to a given airline entirely? Hey Gary when will the CRM post go live? Of course, AA will be reintroducing mainline service LAX-SFO, and initiating a full Hawaii schedule from the Bay Area, and offering convenient SFO-PDX, SFO-SAN and SFO-SEA flights, as well as introducing some new cities in the Northwest to keep us all in the fold ——– NOT. Thanks, AA, for abandoning us yet again. Can I still credit flights on AA metal to the AS program? ….. And given that, for example, OAK-HNL, is NEVER offered on AA.COM on AS metal as an AA codeshare, there goes that particular means of keeping any chance at EXP. Same is true for a bunch of other AS routes—- AA.COM is useless for booking them. (Of course, if you try to use miles, they seem to try to push you onto AS metal all over — since AA itself has such piss-poor award availability these days.) Yet another reason to be thoroughly disgusted with Aadvantage. @SST – Youll still be able to book codeshare flights. Just a matter that only AA coded, AS operated flights will get credit with AA. I’ve found by calling in can get more AA codeshares then what online will provide. ie OAK-HNL will still be codeshared as AA7138. It may require calling, but they’ll waive the fee for booking if it can’t be done online. SST- what’s interesting is that I used to see the AA codeshares on AA metal out of the Bay Area much more in the past. And this stopped maybe about the time of the AS/VX thing. Maybe this new change means that some of those will come back? Still not good from an EQD standpoint as it will be based on spend and not the much better distance-based earning that they have now. Works for me, for non-elites the partnership provided nothing more than a better place to credit my AA miles. No other benefits in fact the credit cards give non-elite more perks than the partnership. The AS program will continue to shine so long as AS maintains its ties with other OW partners. And won’t have to worry about AA passengers moving cutting ahead for elite perks. More upgrades for me! Will we be able to status match on AS as an AA elite before then? Alaska is still a west coast niche player–even after the Virgin merger. While they have expanded a lot in the last five years or so, it’s hard to see their route network being suitable for many west coast business travelers. Big gaping holes exist and most certainly do if they were to ever need to travel between two cities east of the Rockies. My guess is that the Delta and their hub in Seattle is the winner here. I can’t see this as something initiated by Alaska. I’d love to see the numbers on how many former AA loyalists have started crediting all of their flights to AS. As an AS flyer I’ve noticed a surge in elites since the AA deval and see many comments here from former EXPs who credit to AS. Did AA initiate the break up to stop the bleeding? We will requalify for EXPO this year, using, among other flights, an AS SJC-KOA in F. Looking at next year, I am considering status matching to AS 75K MVP and then primarily going with AS for PNW and Hawai’s travel. We can then fall back on LT PLT on AA for travels to Europe, usually in AA or BA premium cabin anyway…and still get Business Lounge access. In this case we’d be crediting AS to AS going forward. Just another reason to simply use points for their value in transfers. Forget brand loyalty. That’s all that we have left. does this mean A321T business awards start at 25K? Hi Gary, Thanks for this update. I am not looking forward to January 1st. I was wondering what people are doing these days to accumulate miles with one airline, even if they fly on separate carriers? I fly Alaska, American and Delta a lot as well as a bit of United. Putting the mileage from the first three on Alaska was very helpful but does not work anymore. Alex_77W on Why Do Card Issuers Put Up With Frequent Flyer Program Devaluation? Joseph N. on Why Do Card Issuers Put Up With Frequent Flyer Program Devaluation? Ron on Why Do Card Issuers Put Up With Frequent Flyer Program Devaluation? DNN on Why Do Card Issuers Put Up With Frequent Flyer Program Devaluation?